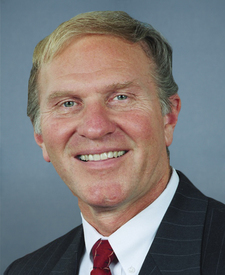 Rep. Steve Chabot took $332,083 in “campaign donations” from big ISPs. No wonder this representative opposes strong net neutrality protections that would prevent companies like Comcast, Verizon, Spectrum, and AT&T from throttling traffic, blocking access to apps, and imposing unfair fees. Contact your lawmaker now and let them know that your online freedom is more important than handouts to corporate monopolies. Then share this page with everyone in your social network to turn up the pressure. Join a protest in your city … or organize one! 782 businesses in your area have signed our open letter to Congress in support of net neutrality. Will you? Every dollar counts. We’ll use your contributions to fund events, billboards and workers to help fight for net neutrality. Find out where every member of Congress stands on net neutrality. Spread the word on social media so your friends and family can take action.